When buying your running shoes online or in a high street sports shop you don’t get the specialist and personalised advice that you need. Although your shoes may seem comfortable, they could be causing problems each time you train. A specialist running shop will be able to measure and fit your shoes. For people with flatter feet I would recommend a motion control shoe with medial arch support and for runners with a high arch, choose a shoe with adequate shock absorption. As well as keeping your miles up throughout your training you should factor in some exercises that will strengthen your muscles. Squats, calf raises and Pilates classes will all serve to reduce bone and tendon injuries. Many patients I see at this time of year have bone stress injuries which can be traced back to training errors or deficiencies in the diet and not consuming enough calories. Having a good balance of protein, healthy fats and carbohydrates is really important as part of your training schedule and will help protect you from injuries. 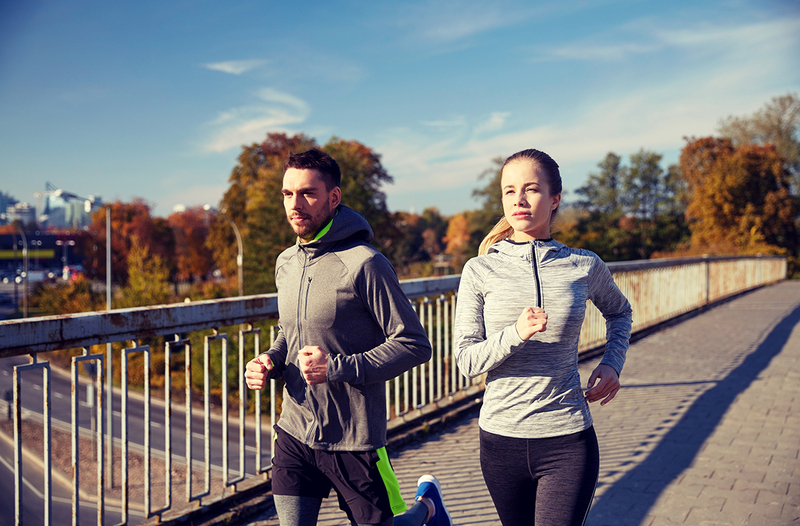 Runners burn around 100 calories per mile. If you are up to 25 miles a week then that’s an additional 2,500 calories burned on top of what your body uses in normal day to day activities. Replace this with healthy carbohydrates including starchy vegetables and wholegrains and protein. Bones are living organisms that constantly replenish themselves and build new bone when damage occurs. In order for this regeneration to occur the body needs calcium and vitamin D. I would recommend that those training for an event take supplementary vitamin D (1000 units daily) and to maintain an adequate daily dietary calcium intake above 1000mg. A key way to avoid injury is in training smartly and not overdoing it too soon. You may feel like your stamina is improving and that you want to increase your mileage in line with that but you’re more likely to pick up an injury this way that could set you back for several weeks. Stick to a sensible running plan that increases by around one mile per week. Similarly, good running technique can play an important role in preventing injury. Seek out analysis of your running technique if you have any concerns. Dr Mark Ridgewell holds clinics at Sancta Maria Hospital on Wednesdays or Fridays. If you have any concerns about sports injury or to book an appointment please call 01792 479040.